Check Rates & Availability at Country Inn & Suites By Carlson, Saraland, AL! Situated just north of Mobile, Alabama, the Country Inn & Suites by Radisson, Saraland has the perfect accommodations for business and leisure travelers. Each room is equipped with a microwave, a refrigerator, free wireless high-speed internet access and a 32-inch flat screen TV. Guests also enjoy a variety of top-notch services from a friendly staff including complimentary hot breakfast, business center, fitness center, guest laundry facility, and outdoor pool. Pets are welcome for an additional fee. The Country Inn & Suites, Saraland puts guests just minutes away from the USS Alabama, the Robert Trent Jones Golf Trail, the Mobile Tennis Center and Downtown Mobile where events such as the GoDaddy Bowl, the Senior Bowl, BayBears Baseball, and Mardi Gras are held. 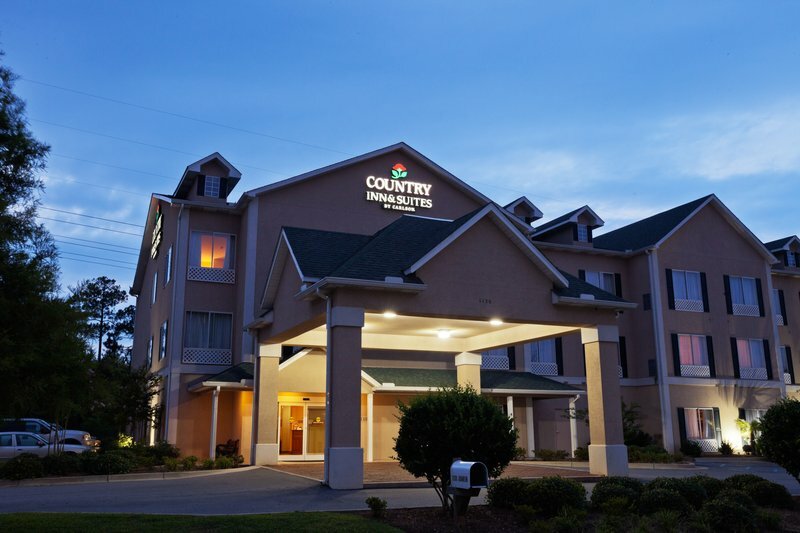 The Country Inn & Suites, Saraland is one of the most convenient hotels for business travelers to the North Mobile Industrial area and corporations such as ThyssenKrupp, Outokumpu, AkzoNobel, Dupont, and Amvac. .6 miles from hotel on Shelton Beach Rd.